B&B accommodation has long been recognised to be unsuitable for families. It caters only for very short-term stays, will generally provide only limited privacy and may lack important amenities, such as cooking and laundry facilities. The Homelessness Code of Guidance provides that is should be a last resort for families, as "living in B&B accommodation can be particularly detrimental to the health and development of children" (at [17.25]), and even then it should be for no longer than a 6 week maximum period. When B&B accommodation is provided, the local authority should notify the applicant of the 6 week maximum and that at that point, "they must secure alternative, suitable accommodation" (at [17.29]). This is not a new policy. It is not a new requirement. It is now 14 years since the Secretary of State specified in the Homelessness (Suitability of Accommodation) (England) Order 2003 (SI 2003 No. 3326, made under s.210(2), Housing Act 1996) that when accommodation is made available for occupation under certain functions in Part 7 of the Housing Act, B&B accommodation is not to be regarded as suitable for applicants with family commitments. This is long-standing, settled policy. However - the reality is very different, as many community care and housing lawyers who read this blog will know. A huge number of families are routinely housed in B&B accommodation, often for periods far in excess of the 6 week maximum, and often in conditions which are filthy, cold, damp and unsafe. Recently I wrote about a superb campaign which the Children's Rights Alliance for England (CRAE) is supporting, called Change It! The campaign is led by children and young people and they are calling for their voices to be heard about the damaging, toxic effects of families being housed in B&B accommodation long-term. More information is available here. "In June 2010, the number of families with children living in B&Bs for more than six weeks was 160. At the end of 2016, it was 1,260 – an increase of 688%. When the figures include those who stay fewer than six weeks the increase is just as dramatic – a rise from 740 families with children in June 2010 to 2,780 in December 2016." Shelter has a call to arms in today's Huffington Post article. Anne Baxendale (its director of communications, policy and campaigns) calls on whoever wins the election in June to "fix the failures of the past" and address the housing crisis. This is a crisis, affecting many of the most vulnerable in our society, including thousands of children. It should be an election issue, and it should be high on the agenda of the new government in June. 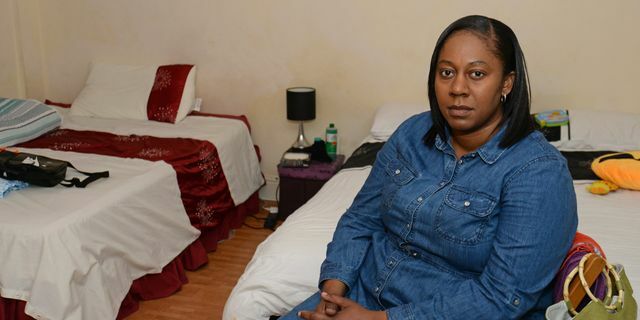 Toxic Housing Crisis Fuels A 700% Rise In Families Forced To Live In B&Bs - Here’s One Mother’s Story. We're one of the richest countries on earth, so a 700% hike in families living in B&Bs is an absolute shocker: https://t.co/kSxuE28iYQ?